I started using SnapChat a couple of months ago and I love sharing little bits of our day along the way. Some days I hardly snap at all and other days I snap a bunch. At the end of the day I often find myself watching my story again and smiling at how much fun we had or how silly the kids were. Something that you wouldn't know about me from reading my blog or even following me on IG is that we LOVE music. LOVE!!! 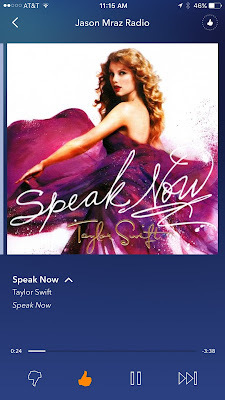 I grew up with music playing in our house all the time and love having it on at home pretty much all day. I love listening to the kids sing along, break out their little dance moves and hear all different types of music. On SnapChat you can often hear little clips of the music we're listening to and the number one question I get asked is about what music we listen to... what stations, artists, etc. So, today I thought we could talk music! I am OBSESSED with PandoraONE. 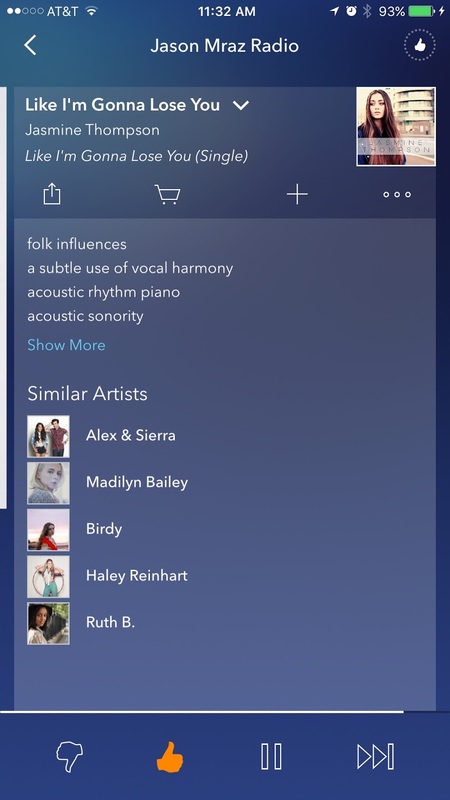 In case you're not familiar with it or haven't used it before, Pandora is an internet radio service that automatically generates recommendations based on what you're listening to and leaving feedback on. 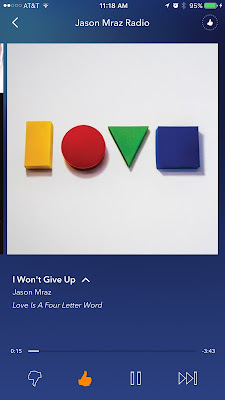 One of my favorite people to listen to is Jason Mraz. So about a year ago when I really got into Pandora I clicked on "create station" and added Jason Mraz and kind of went from there. 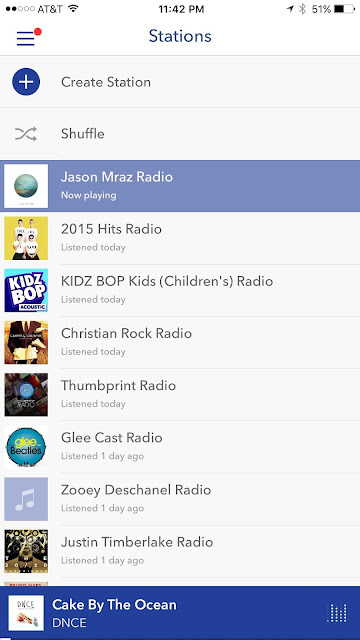 Once I created the station I would add artists/songs as I heard things on the radio that I loved so my "Jason Mraz Radio" station is actually a mix of a lot of my favorite artists. 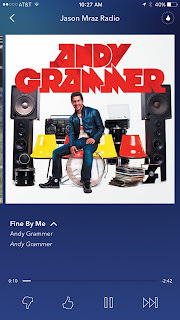 My biggest Pandora tip is to make use of the thumbs up and thumbs down option. 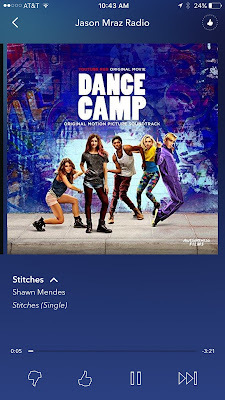 If you like a song, click the thumbs up and Pandora will play more songs/artists/albums that are similar to what you like. 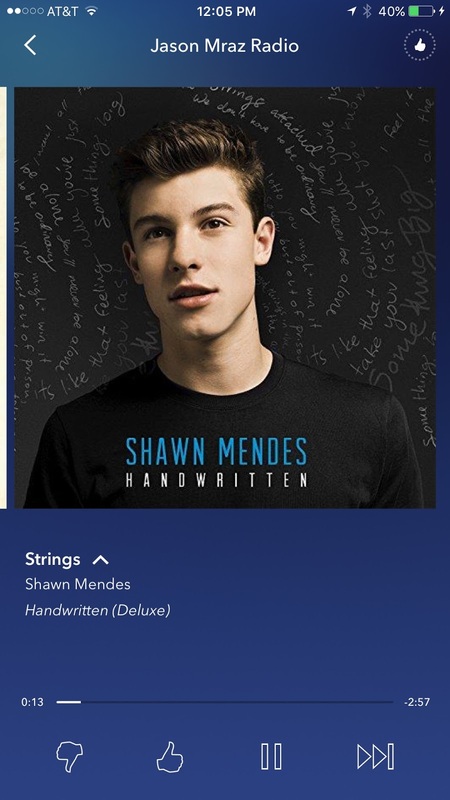 Also, be sure to use the thumbs down as well for songs you don't like because they won't play again. (So easy!) There's even a station now called "Thumbprint Radio" that only plays songs that you've given a thumbs up. You can see in the picture below that this Gavin DeGraw song is a thumbs up because DUH! 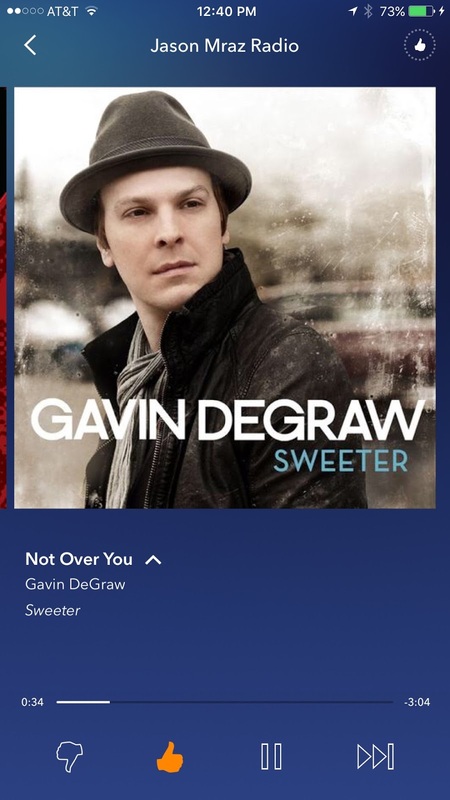 Love me some Gavin DeGraw! If you click on a song it will often pull up similar artists which I think is a really cool feature. I've found lots of artists I wouldn't have found otherwise using this feature. And there is seriously a genre for everything!!! I mean... there's a station for cooking! Having a brunch at your house??? There's a station for that! When I'm reading at night I like to pick one of the studying stations. 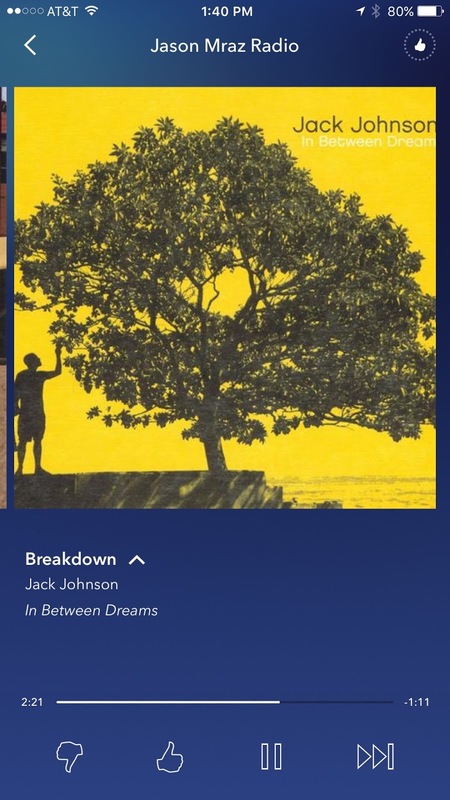 I usually use the Pandora App on my iPhone, but when I'm working on the computer I'll often listen to is on my desktop as well. 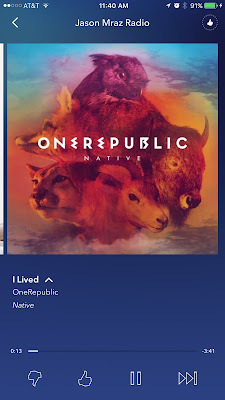 I love that you can see your history so that if there was a song that I really liked (and gave a thumbs up) I can go back and see what it was. 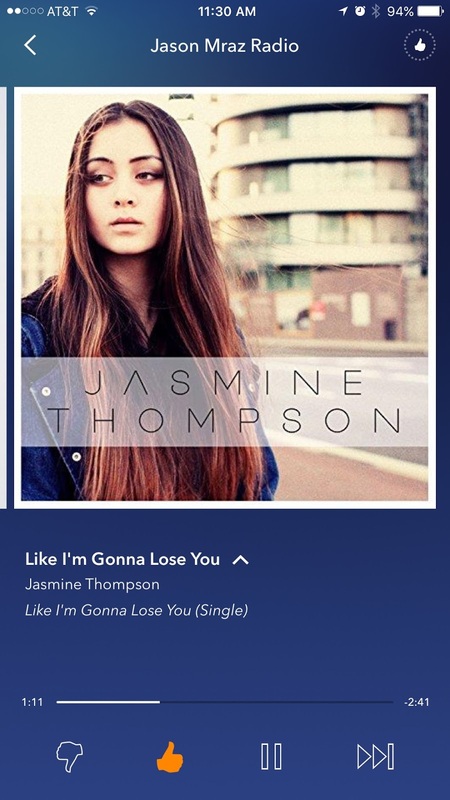 Jason Mraz (obviously) and Jasmine Thompson who I LOVE! 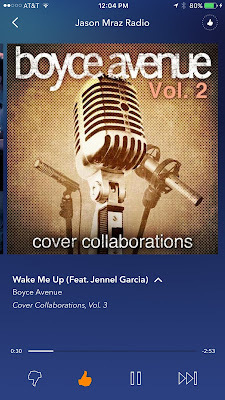 Boyce Avenue and Anthem Lights both do covers that I think are so fun. No, Me Too, Better when I'm dancing??? She can do no wrong in our book. 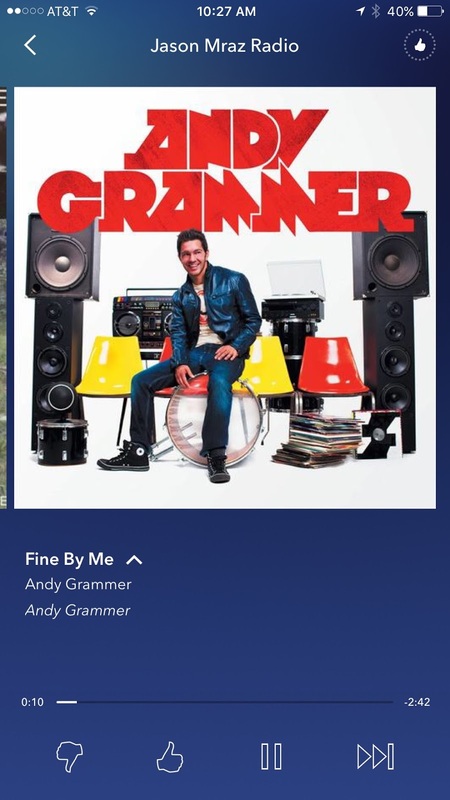 As does Andy Grammer. 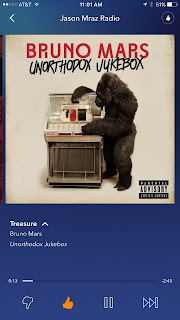 My kids LOVE his music! Eric Hutchinson I found through Pandora and I find myself listening to him a lot! 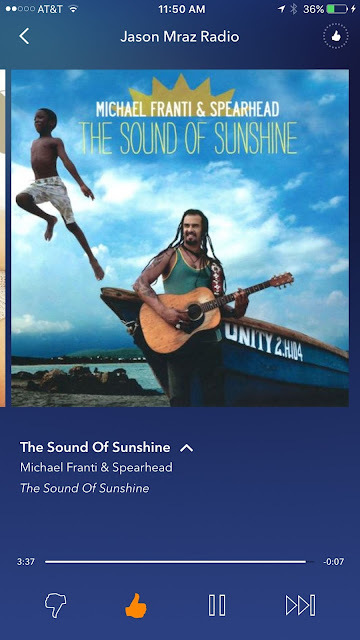 And trust me.... you're going to be in a good mood after listening to The Sound of Sunshine. It's a perfect summer anthem. Good, Good Father is a STAPLE and this version by Sarah Reeves is awesome. I adore the original Hillsong version of Oceans, but this acoustic version brings me to tears on the regular. 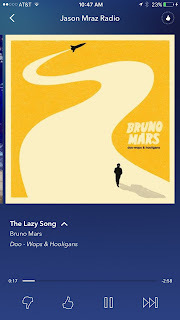 When I'm at home (and connected to WiFi) I pretty much exclusively listen to Pandora. When I'm out and about or not somewhere where I'm connected to WiFi I listen to my music on iTunes. When I hear something I LOVE on Pandora I'll usually buy the song and add it to my iTunes library. I don't have tons of music on my phone, but enough to get me through several Wi-Fi-free hours if need be. I was hesitant to talk about music since I feel like it's such a personal taste thing, but I'm hoping that I answered everyone's questions and that you found a song or artist (or two!) 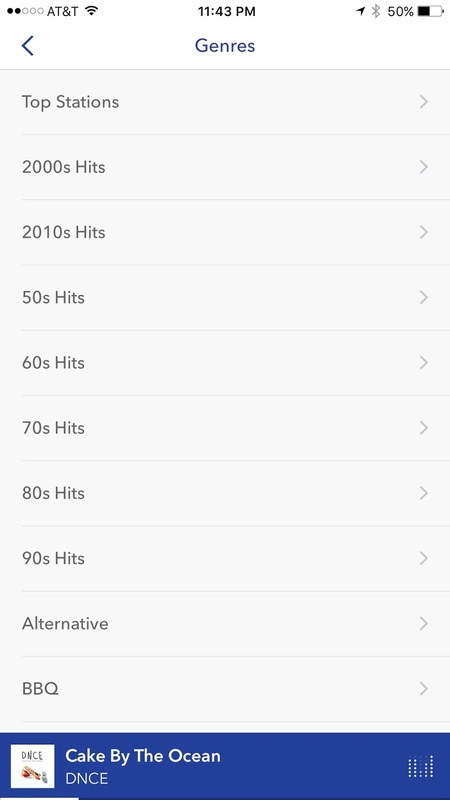 to add to your stations/playlists. LOVE this. Ok, please tell me you've found NEED TO BREATHE. Soooo good. Their new album is amazing. And if you like Gavin DeGraw, download the song "brother" that he's featured in. 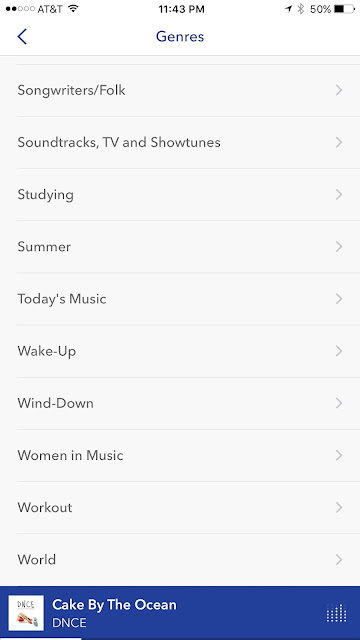 Yes, yes, yes to music on all day, every day! 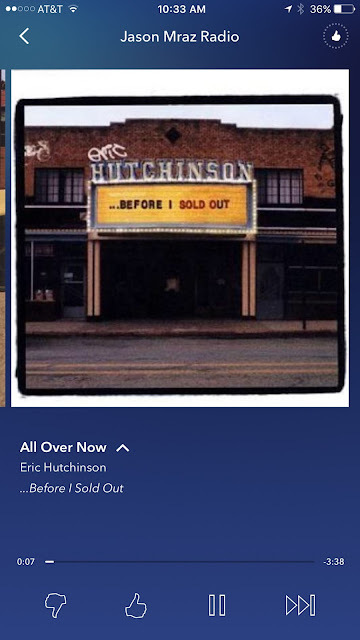 And yes, yes, yes to PandoraOne! 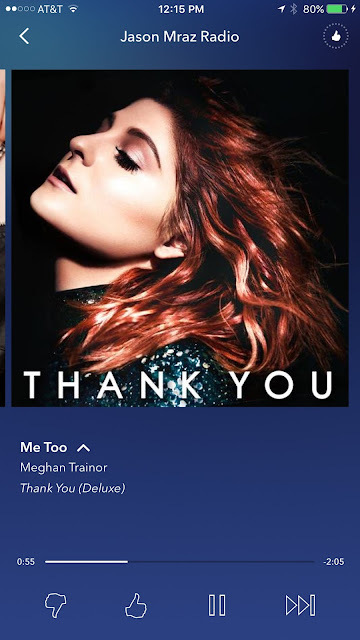 I love Meghan Trainor and really hope she continues to be true to herself - she is such a positive role model. She is such a gifted and talented performer! We play music all day also!! Love! This was a fun post!!! Loved hearing the McAnally faves!! I was going to say Lauren Daigle, too! Her songs "Trust in You" and "How Can it Be" have been on repeat in my van lately, but the whole CD is wonderful! I'm going to use this post as evidence that we should TOTALLY be best friends. I'm still plodding along on free Pandora, but my "go-to" station is shockingly similar to yours. And that Thousand Years song? I die for that song. 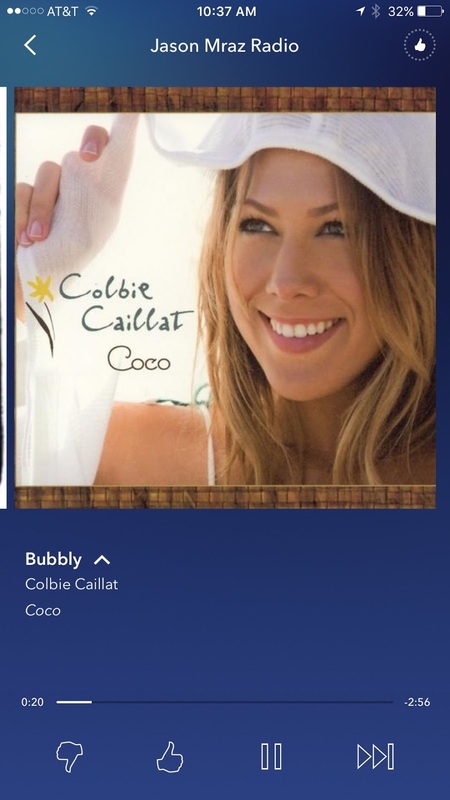 It's a must-sing-along song. Every time. I love all the new suggestions!! Am taking notes! I use "classical music medley" a lot while I am working at the computer. I can't do normal songs as I get distracted while working. The music medley takes top pop songs and plays them in a classical music style. 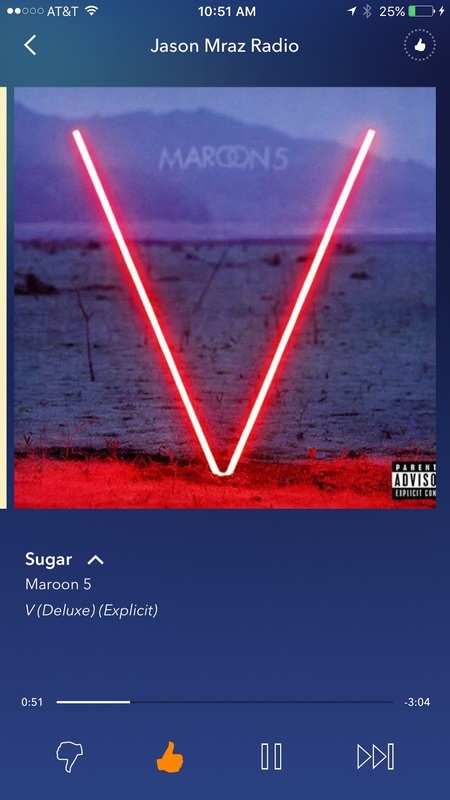 It's fun to hear Maroon 5... Done with no words and instruments! Add a Dave Barnes station!! 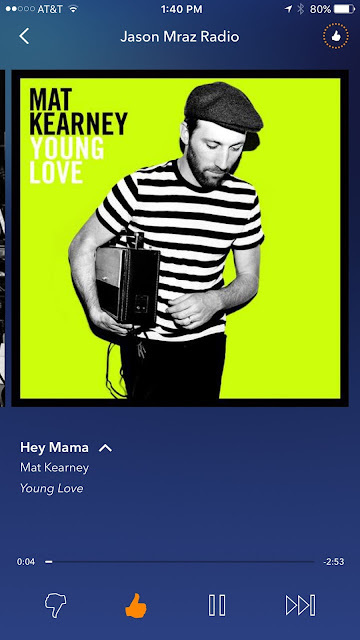 He's very similar to Jason Mraz. Mellow & upbeat. He's my fave! I usually don't comment but I just loved this post! We have music going all day long and this gave me some great ideas for music that's fun with Littles. I loved the acoustic version of Ocean! I had to heard that before and will def be adding it to our list! Have you ever listened to Elevation Worship? 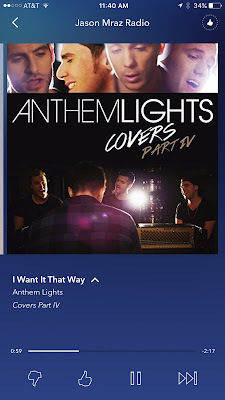 They're from Charlotte, NC and have wonderful music that you should def look in to! LOVED this blog post! Great idea! What makes this post even better is that you and I have the same taste in music :) Thanks for the suggestions! 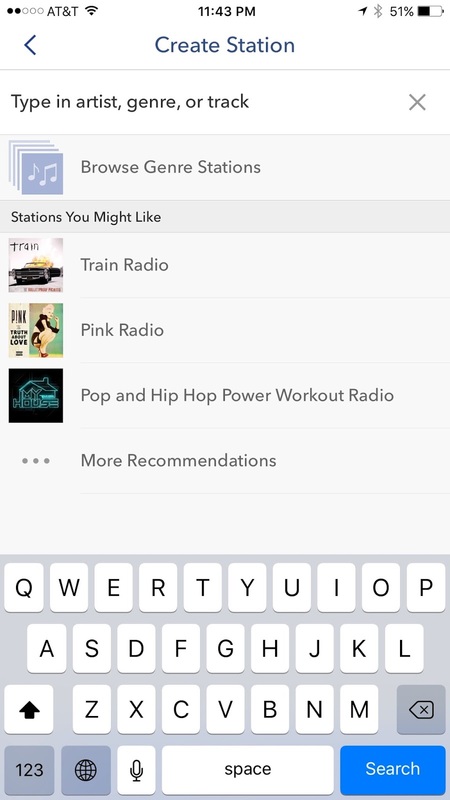 I agree - I have been meaning to ask about your favorite stations after seeing your snaps! You have great taste. 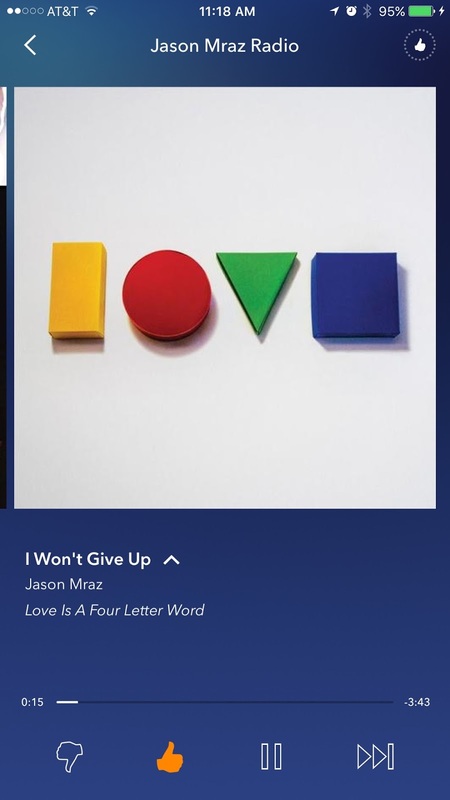 We are big Pandora fans too - going to add Jason Mraz to my playlist now! 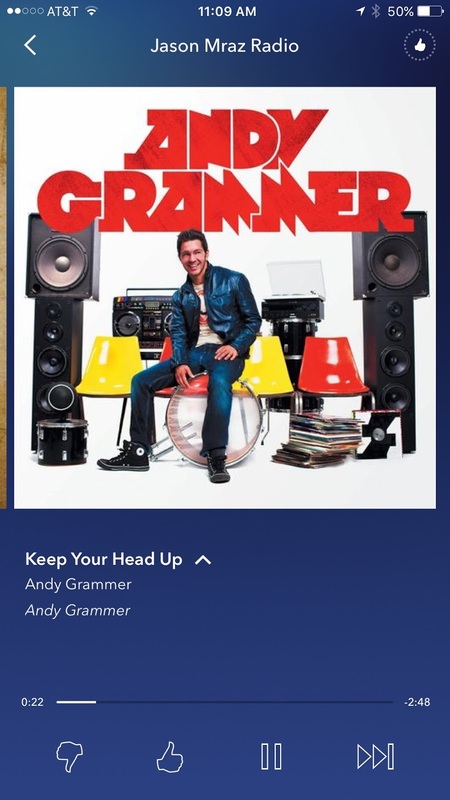 Andrea- this music is ALL so good! Thanks for sharing! I will definitely be adding a few to my playlist! We are obsessed with Salt Water Gospel from the Eli Young Band! Thanks so much for doing this! I'm excited to listen to all your favorites! 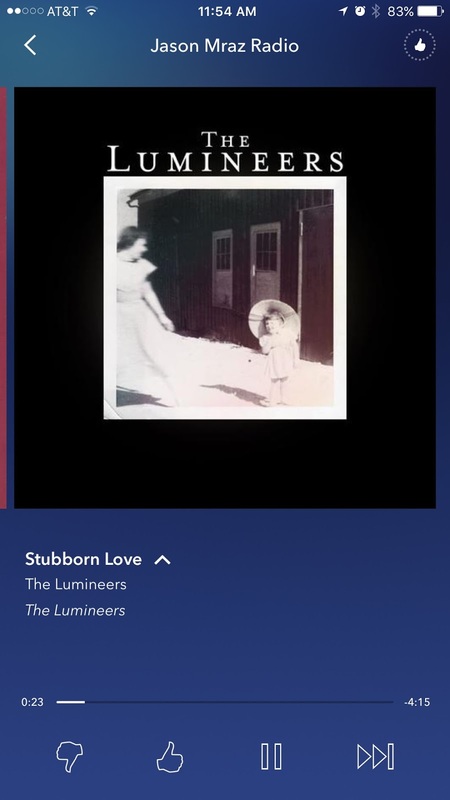 Wanting to have music on more often. It brings so much life! I would recommend this! I love this post and I love that your taste is so eclectic. I, too, was raised in a house where music was ever-present and I could talk about it all day! We listen nonstop at our house as well and my taste is eclectic like yours. I'm SO glad you posted about this because when I watch your snap chats, I often hear tons of music that I love and I often wondered what you were listening to. Thank you for sharing! 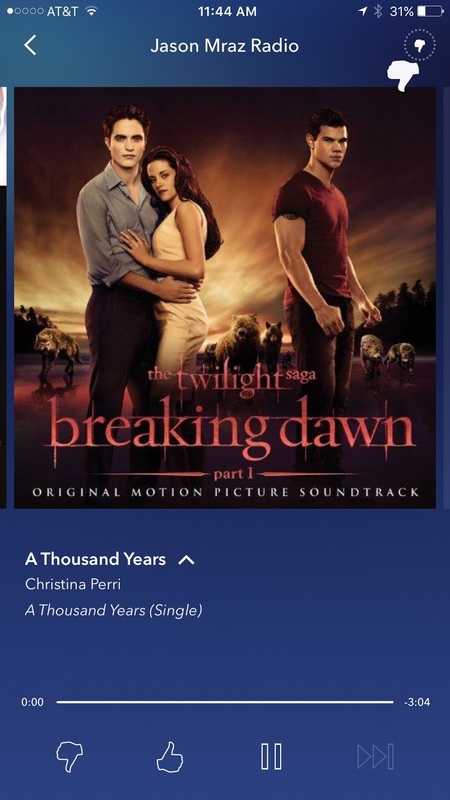 Also, random, but I love Christina Perri's blonde streak.